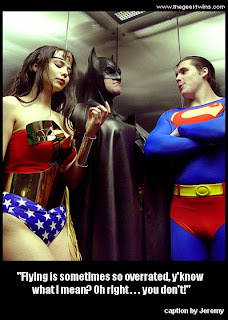 This week's caption picture comes from Daily Dump. Here's mine: More terrifying than Darth Vader...Snoop Vader. Have a better caption for this picture? Head down to the comments section below to throw it out there. The owner of the funniest and most original caption will be given praise and adulation, here and on our Twitter feed and Facebook page. 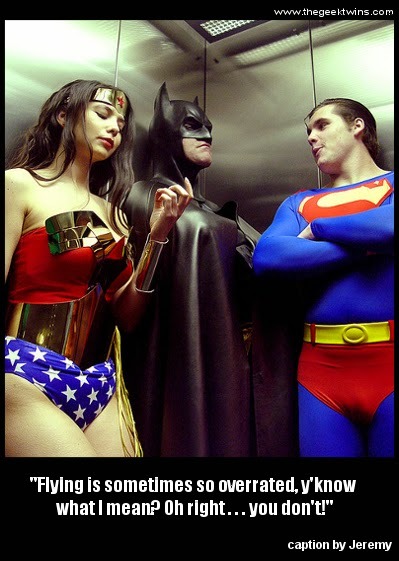 Superman: "Flying is sometimes so overrated, you know what I mean... right you don't! "So, Catwoman has been looking pretty hot lately. Are you hittin' that?" Now it's your turn. How would you describe this week's scene? What do you think they're saying? What caption would you give this picture? Which is the funniest caption so far? 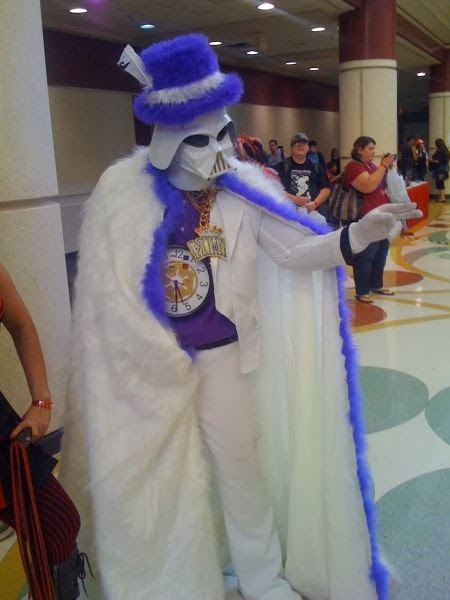 "I am your Pimp Daddy." 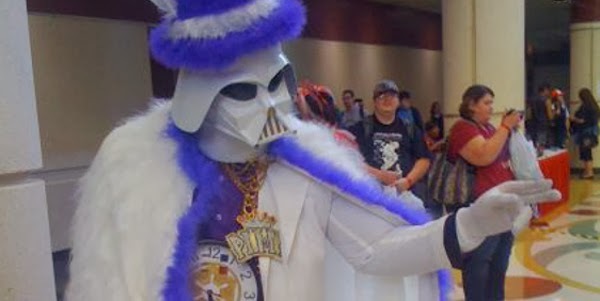 "If you only knew the Power of the Swagg Side!" "Pimping is nothing compared to the power of the Force. However, it is still pretty awesome." "Dammit. Every year I show up for this stupid costume party and every year they still know it's me. Maybe it's my face." I always wondered about the casting call for that one. Glad you liked 'em Pat!